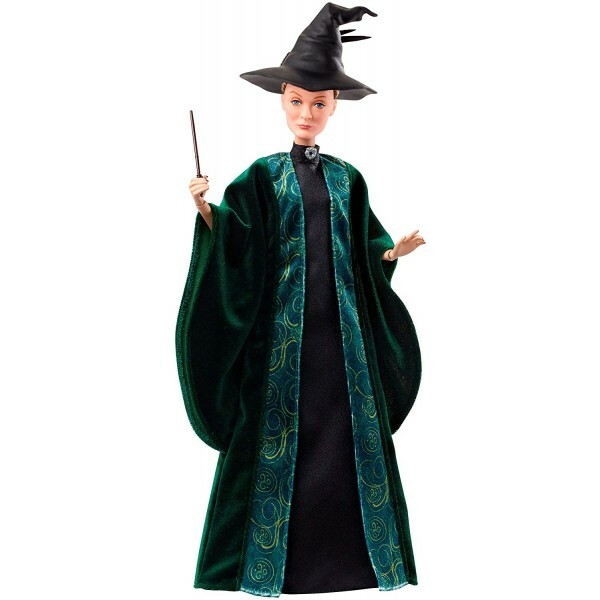 Play out endless adventures in the wizarding world with this Professor McGonagall doll! This 12" doll has rooted hair and wears her iconic Professor's cloak, along with her signature hat and broach, just as she appears in Harry Potter and the Chamber of Secrets. She also comes with a personalized wand. With eleven points of articulation, you can pose her in limitless ways for hours of imaginative play! For two more dolls from this series, check out the Ginny Weasley doll and the Hermione Granger doll.